Good condition is defined as: a copy that has been read but remains in clean condition. All of the pages are intact and the cover is intact and the spine may show signs of wear. The book may have minor markings which are not specifically mentioned. Most items will be dispatched the same or the next working day. Very Good. 0283070684 ALL BOOKS SHIPPED WITHIN 1 DAY OF PURCHASE! Fair. Yellow pages due to age, stains on sides **SHIPPED FROM UK** We believe you will be completely satisfied with our quick and reliable service. All orders are dispatched as swiftly as possible! Buy with confidence! by Donald Spoto, M.A., Ph.D. 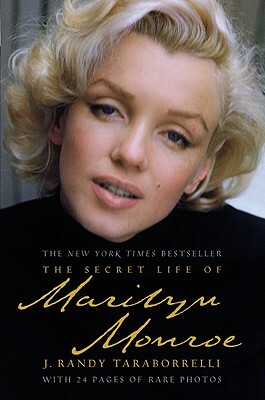 I have read many things about Marilyn's mental state over the years. Reading this book has given me some insight about her mental condition, pill taking and her relationship with her mother. It is interesting to know about that side of her life and how she was trying to deal with it. I enjoyed the book. Great price too! Keep up the good work! This is an obviously carefully-researched biography, with some new material about its subject?s family background and personal life. Unfortunately, it is sometimes made almost unreadable by a sentimental, syrupy and romantic style of writing. ?It was when Norma Jeane returned to California from this trip that her entire world was changed by a fluke moment, in a dramatic way that neither she nor anyone in her life could ever have imagined.? ?This tactic worked ? for a while, anyway.? ?In the instant she extended her hand to shake his, a major shift took place in her world ? and things would never again be the same.? ?However, the sudden warmth for and pull toward this new fellow, Joe DiMaggio, felt different, unlike anything she?d ever experienced with any other man. Indeed, with this one, it would definitely be ? different.? If you can stomach this mushy, twaddlish writing without laughing or groaning, by all means, read this book. It?s slow-moving at times, but still readable. But don?t expect any real analysis of the much-debated circumstances of Monroe?s death ? the author virtually ignores the whole matter, just abruptly ending the book with her death, and suggesting that she might have accidentally overdosed, or done so on purpose and meant to be saved. There is no reference to the cyanosis that books such as Crypt 33 and Donald Wolfe?s The Assassination of Marilyn Monroe claim her corpse displayed ? supposedly only the result of a sudden death from massive overdose, and impossible through slow death by ingestion. No mention of Donald Wolfe?s toxicology analysis. No mention of the coroner?s report, and the tissue samples that he claimed were destroyed instead of analysed, or of the bruising he found and of which he said, ?There is no explanation for it, and it is a sign of violence?. No epilogue. Just a sentimental, romantic fizzling out. The back cover claims that this book is ?the final word on the life of one of the most fascinating and elusive icons of the twentieth century?. Don?t believe it.